Interested in trying judo? Great! Judo is a fantastic martial art and olympic sport for adults and kids and will help with balance, co-ordination, fitness, self-confidence and also the ability to defend yourself in a physical confrontation. Judo (translated to "Gentle Way" - is a martial art and an olympic sport created by Professor Jigoro Kano in Japan in around 1882. Judo was introduced into the Olympic Games in 1964. The object of judo is throw your opponent to the ground, then either immobilise them on their back or to force them to submit by using a choke or armlock. Chokes and armlocks are taught only to seniors past the age of 15. Loose fitting, comfortable clothing is what you should wear. Preferrably not your nicest clothes, since judo involves a lot of gripping which might stretch or tear something. 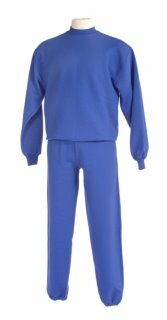 A cotton sweatsuit if fine - preferrably long-sleeve and preferrably nothing with hard metal studs or zippers. If you have an existing martial arts suit, you can bring this to class. We often also are able to loan judo gis (suits) if we have some spares available. You are able to purchase judo suits from the club at discount pricing if you decide to become a member. You must also bring some slip-on footwear as we like to keep our mats clean and tidy. This means wearing footwear when you step off the mat area and taking footwear off when you step onto the mat area. Please don't show up to class with bare feet and please don't wear any jewellery, please have clean cut nails and be punctual. What else to bring to classes? A drink bottle is pretty much the only other thing you'll need. You can have a look at our fees page. The first classes are free, however - so you're welcome to drop in to try it. Who do I contact to organise this? You can contact the coaches on our contacts page. You can also simply arrive at classes to have a look, chat to members, coaches and parents. There are 3 age groups that we cater for. If you are not sure what class suits you - please contact us. Please note that the MONS classes train only during the school terms. New beginners should join within the first 3 weeks of each new term.